Exactly two years ago I fangirled shamelessly through this post on why I love my foodie hero, Nigella. 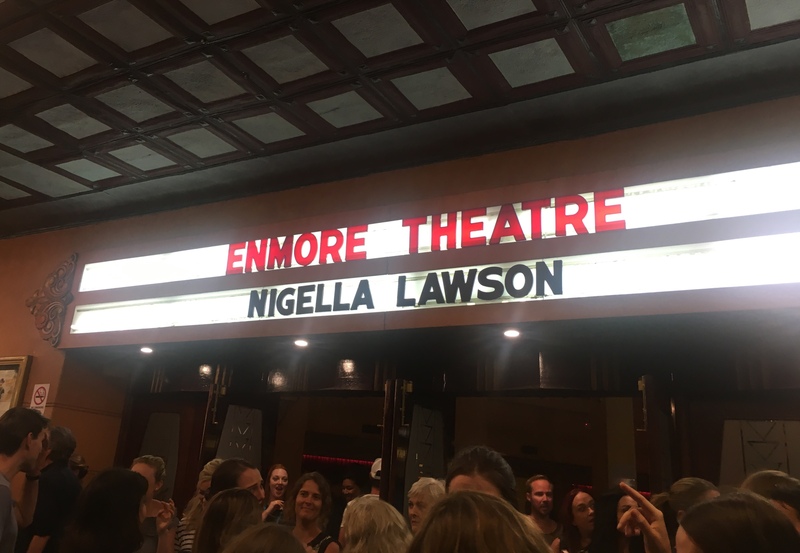 Nigella was back in town recently which means I am back in adoration mode. But this time our likenesses really struck me. Time and time again during her two talks (naturally I went to both), I found myself thinking, she’s just like me. Or rather I’m just like her. So here are the 17 reasons why, direct from Nigella herself. This was Nigella’s response to the question ‘Have you tried the 5:2 diet?” and I completely agree with her. I am flummoxed at how people survive for a day on a boiled egg and cup of black coffee and could never, would never do it. I would love to know what number that is. For me it’s 113 and steadily rising. 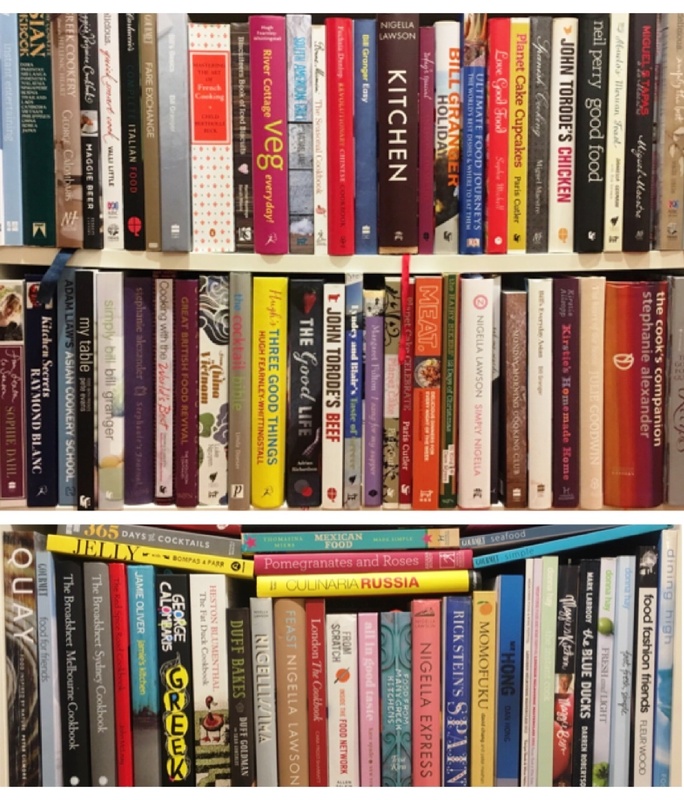 And yes a good chunk of those are Nigella’s books. I LOVE food shopping and can spend hours in a supermarket, especially if it’s an international supermarket. Granted I am not shopping for a family of six however the size of my trolley often suggests I am. I remember how much I loved the Thursday night shop with mum when I was little and I take great pleasure in examining produce and products, comparing value and picking up random new finds to have some fun. I love it so much I often commit the culinary sin of salting my food before tasting it. I hope dearly that I’m never put on a low sodium diet, it would be the end of me. Me eating spanakopita at around 18 months. The only thing that’s really changed is my taste in socks. 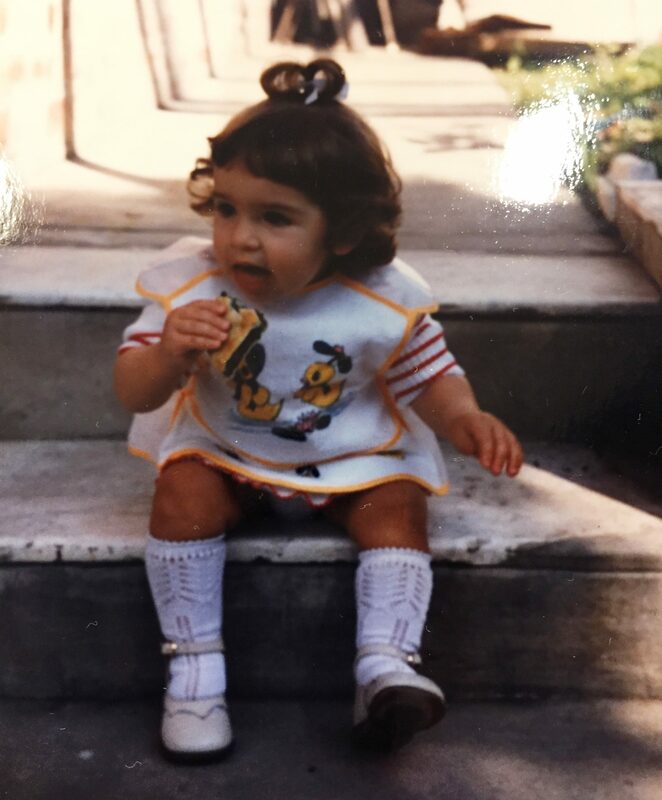 My earliest memories all involve food. Hell, ALL my memories involve food. 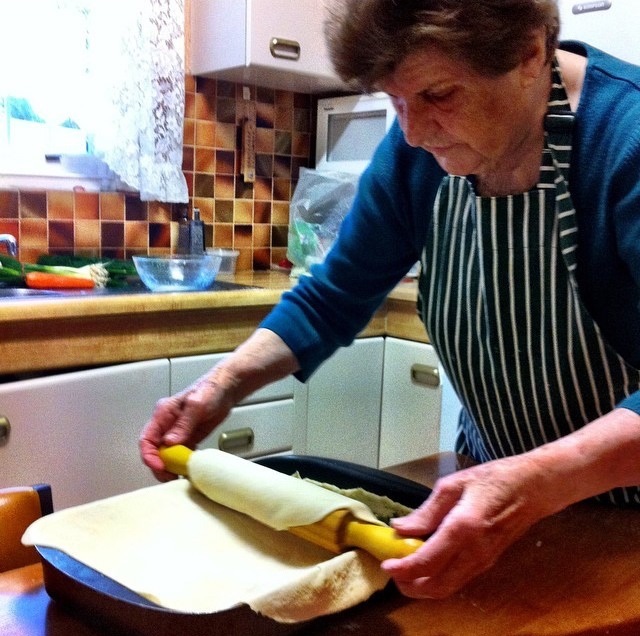 And nothing gives me greater comfort than my yiayia’s cooking, or the smell of a barbeque. ”Food says a lot about identity… we develop bonds through food’ Nigella noted to sociologist Hugh Mackay. One meal with a Greek family is all that’s required to prove this point. I live for leftovers. I cook for the aforementioned imaginary family of six and then portion out leftovers for lunch and future dinners. There’s nothing better than arriving home late and tired knowing there is a home cooked meal waiting to be reheated. 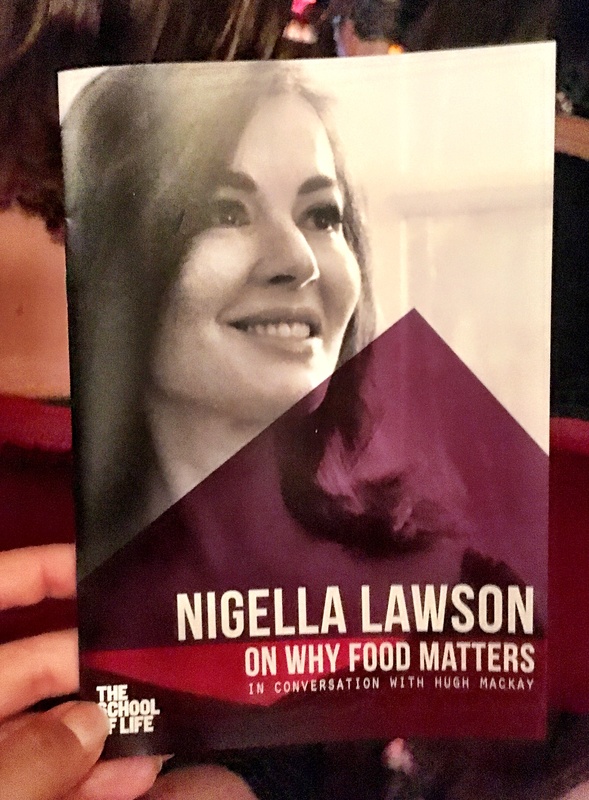 Nigella noted that despite embracing every food type voraciously, she subconsciously leans towards vegetarian food much of the time and I am quite similar. I love meat but I rarely buy it, for a mix of health, environmental and fiscal reasons. I tend to save juicy steak and pork ribs for restaurant dining and dig into vegetables, seafood, pulses and whole grains at home. Which interestingly enough is a standard Mediterranean diet – perhaps I am more like my Greek islander ancestors than I realise. I have at this moment in time, five containers of sweet potato curry in my freezer. Which perfectly exemplifies the above two points. When I am sick the only thing I want is a bowl of avgolemono, either made by my mum or my yiayia. It cures the body and the soul. 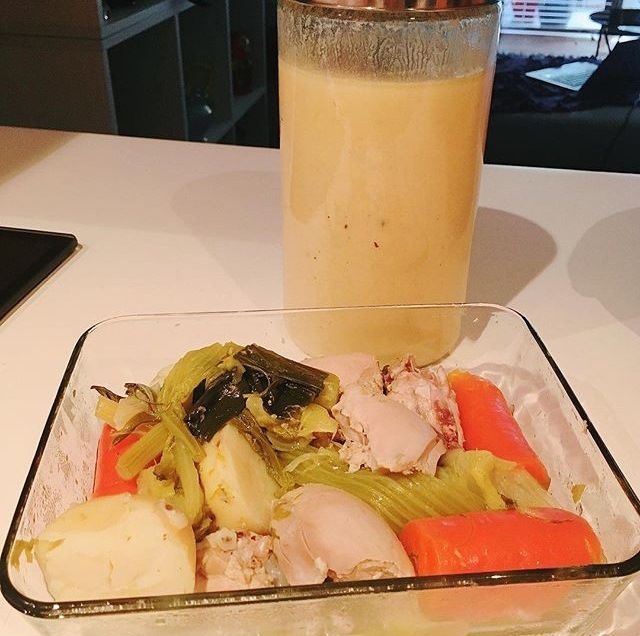 There is NOTHING more rewarding (for me) then pulling out three or four ingredients and turning them into a meal. When that happens I am winning in life. It was our hearts that were swelling Nigella. Magnesium is good for bone and heart health. Clearly Nigella is as informed a chocolate lover as I am. Okay I’m hardly on first name terms with Nigel Slater (however I can wholeheartedly recommend his cookbook “Real Food’) but I adore frozen peas almost as much as mushy peas. Convenient and tasty, they are actually healthier than the fresh variety (as they are snap frozen almost immediately after picking therefore locking in more nutrients). Time to start eating my way through these pantry treasures. 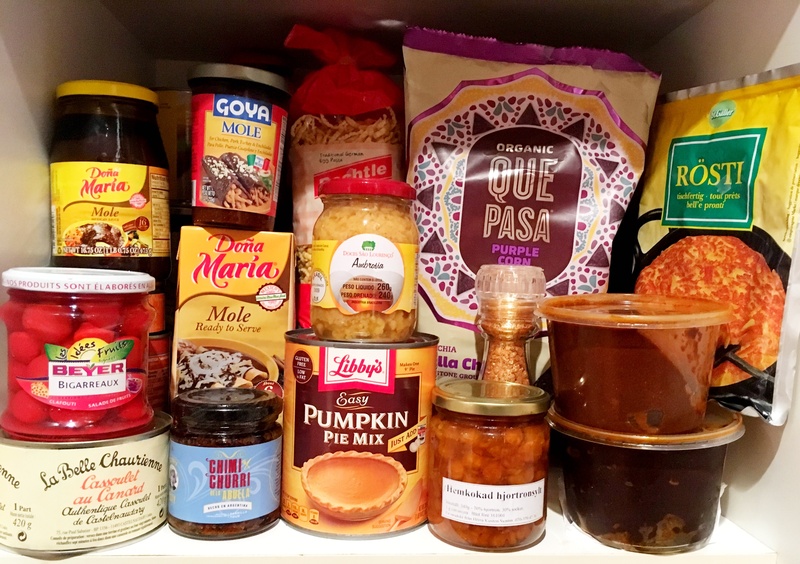 Of course my humble pantry pales in comparison to Nigella’s walk-in monstrosity (the one you see in her most recent shows is part of a studio but mimics her real pantry), yet decluttering is often top of mind, or rather the desire to start eating my way through various international culinary treasures. This is me all over and I’m always thinking about the opportunity cost when eating something uninspiring. 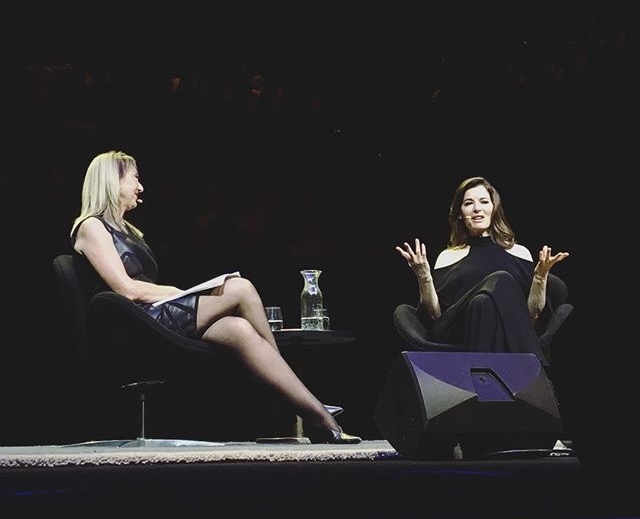 The second of Nigella’s talks took a more philosophical approach to food. 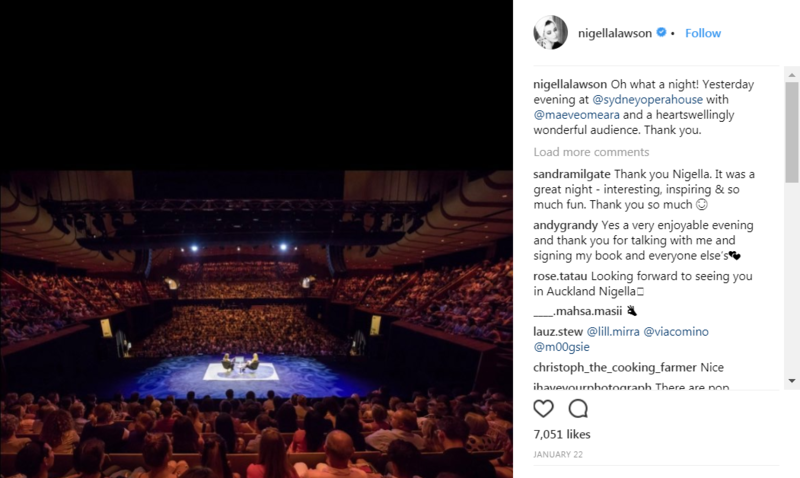 When Nigella said this I could have sworn she was staring at me Row M at the Opera House. “I like being flooded with pleasure and that’s what eating fast gives me” she continued, and who am I to argue with that? I almost cried outwardly in delight when she mentioned this. Finally someone admits what I have known my entire life! I grew up with tasteless green capsicums in my salad and didn’t even know about the red and yellow options until my teens. Why, WHY buy the bland uninspiring version of an otherwise perfectly good vegetable? Mum if you’re reading this can you please explain yourself. This statement sums up much of my life – it’s the reason I started this blog. It’s the reason I work across food shows and Food Network at SBS. It’s a big reason why I identify with my Greek heritage. It’s the reason food is my passion and sustains my mind as much as my belly. Thank you Nigella. In listening to you I’ve actually discovered more about myself. I love how in love with food you are. Makes you my perfect foodie partner in crime… However, you forgot to add that you ladies kinda have a striking resemblance. Crazy. That’s true, and she did point that out once.